Send off the year in style! 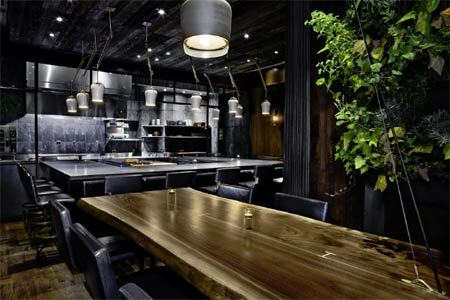 Whether you’re looking for a party scene full of revelers or a more romantic space to share a midnight Champagne toast with someone special, we’ve compiled a list of the Best New Year’s Eve Restaurants in New York City, presented in alphabetical order. 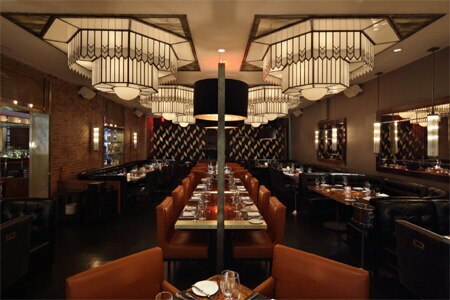 TriBeCa, NYC Marc Forgione explores all things steak at this TriBeCa restaurant. On New Year’s Eve, expect an à la carte menu along with holiday specials. RESERVE NOW! Midtown West, NYC Asiate’s New Year’s Eve “Pre-Celebration” dinner menu ($219 per person) ranges from a first course of Maine lobster to the “Black and White” comprising dark and white chocolate mousse, and hazelnut crunch. 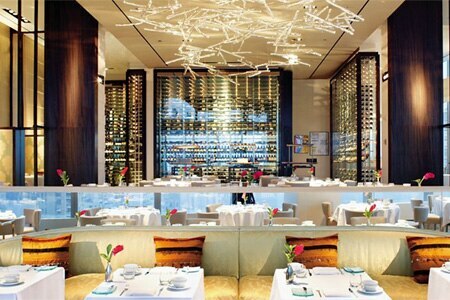 Meanwhile, the “An Eve of Cristal Effervescence” menu ($915 per person) commemorates the holiday and Mandarin Oriental, New York’s 15th birthday. Each course pairs with a Cristal Roederer Champagne, and guests will enjoy a Champagne toast at midnight. RESERVE NOW! 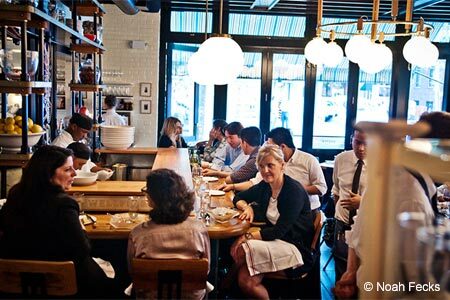 TriBeCa, NYC At Atera in TriBeCa, chef Ronny Emborg will treat New Year’s Eve guests to a special holiday dinner menu ($575 per person). Diners will choose from two seatings: 6 p.m. and 9:30 p.m. RESERVE NOW! 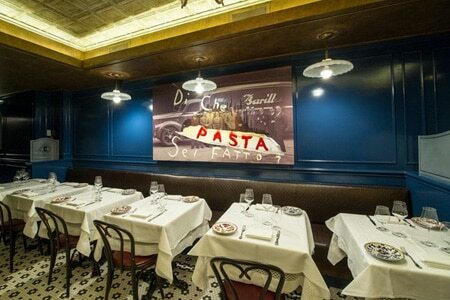 Greenwich Village, NYC Chefs Mario Carbone and Rich Torrisi serve up familiar Italian fare at Carbone. 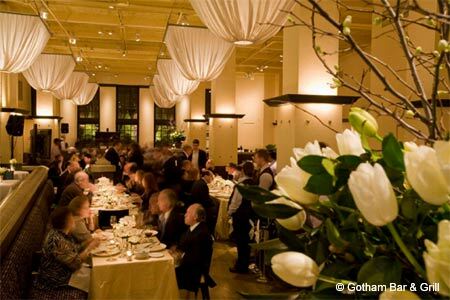 Celebrate New Year’s Eve at one of the two seatings offered at this Greenwich Village hot-spot (first seating $295 per person; second seating $395 per person). 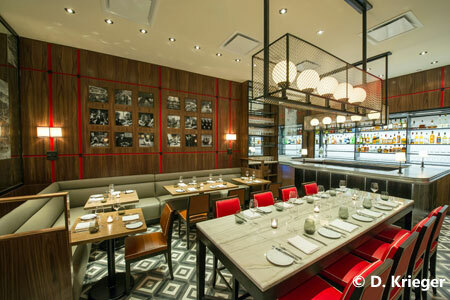 Theater District, NYC Chef Daniel Boulud’s exquisite fare is available at a more modest price at db bistro moderne in the Theater District. On New Year’s Eve, enjoy a four-course menu ($115, offered from 7 p.m.) that will present dishes such as porcini velouté, Taleggio agnolotti, and halibut with baby Brussels sprouts. Champagne specials will be offered throughout the night. RESERVE NOW! SoHo, NYC The Dutch is a bustling SoHo spot with a full raw bar and late-night eats from Andrew Carmellini. The New Year’s Eve menu ($130, sommelier pairing $75) offers main course choices like halibut with yuzu beurre blanc and garden vegetables, and rack of lamb with jerk sauce. RESERVE NOW! 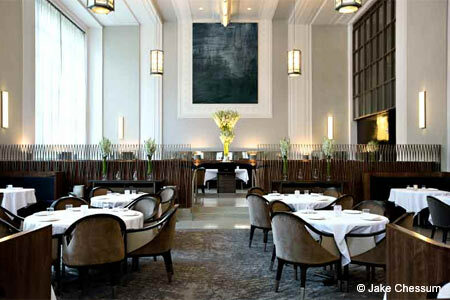 Flatiron District, NYC Chef Daniel Humm and restaurateur Will Guidara present one of the world’s finest dining experiences at Eleven Madison Park. Diners on New Year’s Eve will be treated to special tasting menus: seven courses for $350 at the early seating; and nine courses for $675 at the late seating, which includes a Champagne toast at midnight. Midtown East, NYC Fig & Olive in Midtown East celebrates New Year’s Eve with its White & Gold party, which brings a four-course prix-fixe dinner menu ($120). RESERVE NOW! 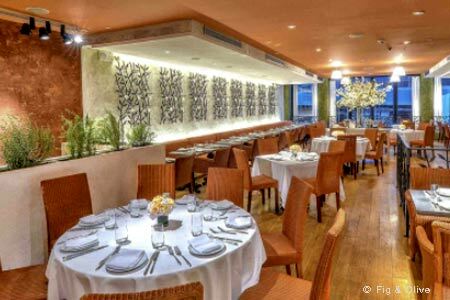 West Village, NYC This American classic in the West Village will offer multi-course menus on New Year’s Eve (first seating $130; Gala $350). RESERVE NOW! 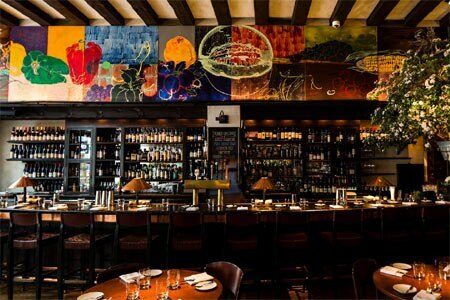 Flatiron District, NYC Ring in the New Year at a New York classic: Gramercy Tavern. 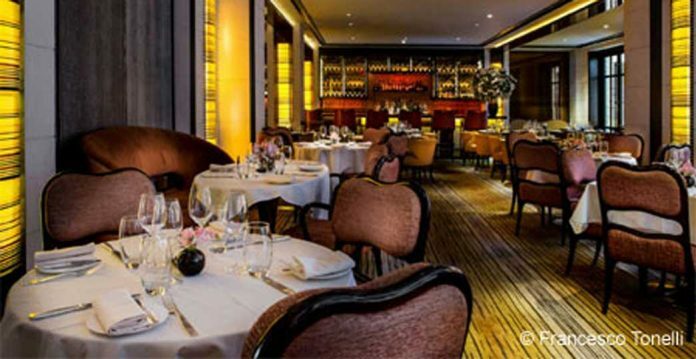 In the main dining room, guests will be offered a six-course menu from 5 p.m.-7:30 p.m. for $250 per person, and a seven-course menu from 8 p.m.-10:30 p.m. for $350 per person. The Tavern will present a four-course menu for $150 per person. RESERVE NOW!